Are you ready to jump in to a getaway you will never forget?? It’s time to set your sights on paradise for a beautiful vacation to Jamaica! Sunscape® Cove Montego Bay and Sunscape Splash Montego Bay both offer the perfect opportunity to get your fill of a Caribbean escape! Read on to learn about the perfect trip to Sunscape Resorts in Jamaica. Set your sights on Jamaica and join us at Sunscape Resorts & Spas! Splash into Fun in Montego Bay at Sunscape Resorts! This #BeachThursday is all about family fun in the sun! Kids of all ages will never want to leave the Sunscape Resorts & Spas® Montego Bay locations after an adventure-packed week full of excitement for everyone. Follow along to see what a perfect sunny day looks like at Sunscape Splash Montego Bay and Sunscape Cove Montego Bay. Here we go! Top 5 Reasons to Visit Jamaica! Happy #BeachThursday! Are you planning a family getaway and need the perfect destination? Look no further than beautiful Jamaica! Sunscape® Cove Montego Bay and Sunscape Splash Montego Bay are the go-to resorts for your next Jamaican vacation in the sun! Keep reading for our top 5 reasons to visit Jamaica! A view of the gorgeous Sunscape Cove Montego Bay resort! We Want You to #ShowUsYourSplash at Sunscape Splash Montego Bay! We challenged you to #ShowUsYourSplash by sharing your best pictures from Sunscape® Splash Montego Bay on social media and we loved all the images you’ve shared! Don’t forget to keep sharing your photos using #ShowUsYourSplash. Who knows? You might be the next guest we feature photos from on our blog! Today we’re featuring photos from @yunliang. She took several gorgeous images throughout her stay at Sunscape Splash and shared them with us. Keep reading to see more beautiful pictures from @yunliang and to learn more about this Unlimited-Fun® resort! We love when our guests share their Sunscape Splash Montego Bay photos with us! #ShowUsYourSplash Photo courtesy of @yunliang. If you recently visited Sunscape Splash Montego Bay or Sunscape Cove Montego Bay then you’re sure to have plenty of photos of the aquamarine sea, white sand beaches and kid-friendly amenities that both of these Unlimited-Fun® resorts have to offer! Want a chance to showcase your photos on our blog? If you share your vacation photos from Sunscape Splash and Sunscape Cove on social media, then you could be featured on our blog, Sun Drenched. Keep reading to learn how! We want you to #ShowUsYourSplash from Sunscape Splash Montego Bay and share how you’re enjoying the #UnlimitedFunatCove from Sunscape Cove Montego Bay by sharing your vacation pictures on social media using our hashtags for the chance to be featured on our blog, Sun Drenched. A Taste for Travel Visits Sunscape Cove Montego Bay! We recently had the pleasure of hosting “A Taste for Travel” at the new Sunscape Cove Montego Bay! The A Taste for Travel blog explores the world’s most amazing destinations bringing back news about luxury resorts, exciting restaurants and products as well as recipes, travel tips and advice to help readers discover the best of Mexico, the Caribbean, Latin America and southern Europe. From snorkeling and St. Patrick’s Day parties to delicious food and sunset dinners at Seaside Grill, lots of fun was had by all at Sunscape Cove Montego Bay. Check out all of the amazing photos during their stay! An unforgettable family-friendly vacation awaits you at Sunscape Cove Montego Bay! Splash Around at the Pirate’s Paradise Water Park at Sunscape Splash Montego Bay! At Sunscape Resort & Spas, we’re all about Unlimited-Fun® for the kid in everyone! Sunscape Splash Montego Bay welcomes you to embrace your inner kid at our on-site Pirate’s Paradise Water Park! Complete with a pirate ship, lazy river, and water slides – this water park is is fun for all ages! Aerial view of Pirate’s Paradise Water Park at Sunscape Splash Montego Bay! Are You Ready for Jamaica, Mon? Sunscape Brings Big Deals to Montego Bay! Are you ready, mon? 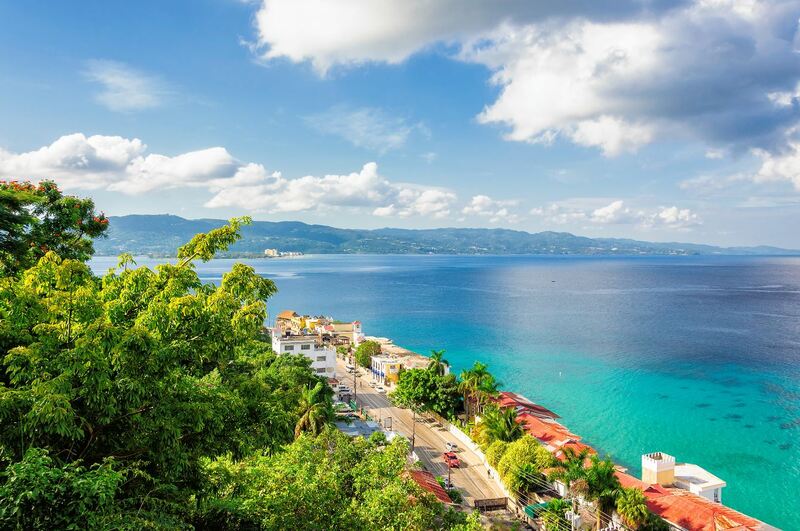 We hope so, because we be jammin’ into Montego Bay, Jamaica with not one, but TWO fun-filled places to stay: Sunscape Splash Montego Bay and Sunscape Cove Montego Bay! We can’t wait to experience these two new spots where guests will experience the convenience of Unlimited-Fun® – where everything is included – paired with a vibrant atmosphere and friendly service. With a wide variety of available activities and kid-friendly programs, everyone can make their own kind of fun! And if this news wasn’t enough, we’re also excited to share some of the fantastic special opening rates that guests can take advantage of for a limited time! A beautiful new aerial view of Sunscape Cove Montego Bay and Sunscape Splash Montego Bay! The stunning beach of Sunscape Cove Montego Bay and Sunscape Splash Montego Bay! It’s #BeachThursday and we can’t wait to share a sneak peak of our newest up and coming beach resort: Sunscape Montego Bay! Sunscape Montego Bay will offer an affordable fun-in-the-sun vacation experience on the white sand beaches of Jamaica – just steps away from the crystal clear Caribbean Sea. Guests will enjoy Sunscape Montego Bay’s Unlimited-Fun® experience, including a kids check-in experience, 24-hour access to dining and beverage options, 430 spacious guest rooms, concierge service, an Explorer’s Club for Kids (ages 3 – 12) and daily programs and activities for tweens and teens ages 13 and up. And the family fun doesn’t stop there! You’ll find an aquatic park complete with twisting slides and pools that will entertain everyone. We can’t wait! Check out some of our favorite photos from this exciting new resort – we’ll see you in December 2015! Rendering of the waterpark at Sunscape Montego Bay. A beachfront room at Sunscape Montego Bay. An aerial view of Sunscape Montego Bay. A stunning dinner setting at Sunscape Montego Bay. Rendering of the beach at Sunscape Montego Bay.